Some couples who split up go on to build a healthy, supportive friendship. However, most people find that staying friends isn’t as easy as it sounds. A lot depends on the nature of the relationship and the split – and how that affects your ability to heal and move on. I totally get the desire to stay friends after a break-up. I’m a chummy sort – I like to get on with everyone, I hate bad feeling and I don’t like goodbyes. But staying in contact has never worked out that well for me, often leading to more pain for one or both of us. 1. Were we really friends in the first place? Relationships often end because, once the intoxication of the romance and attraction has settled down, you discover you don’t actually have much in common, or you struggle to communicate well. Ask yourself honestly: do we actually have a friendship to salvage? If you weren’t genuine friends before or during the relationship, you’re unlikely to forge a good friendship afterwards. 2. Do we want the same thing? Remaining friends means different things to different people. One of you may want a deep, ongoing, supportive friendship, including spending quality time together. The other might just want an amicable atmosphere with no animosity, so there’s no unpleasantness if you bump into each other. This difference in expectations can prolong the pain of a break-up, as you go through a push-pull process of discovering you’re not on the same page, leaving one of you feeling hurt and rejected all over again. It may help to discuss what ‘staying friends’ actually means to each of you. 3. Did we treat each other well in the relationship? A good friend has many of the same qualities as a good partner. Was your partner kind, respectful, honest, supportive and trustworthy? If they didn’t treat you well during your relationship, they’re unlikely to treat you any better as a friend, so it’s probably better to cut ties rather than continue to have your trust and self-esteem eroded. Likewise, ask yourself honestly: did you treat your partner well during the relationship? If not, it may be kinder to create some distance and allow them to heal and make a fresh start. 4. Will it hold me (or them) back? At some point, both of you will hopefully move on to new relationships. However, a friendship with an ex-partner can get in the way of that. If you have lingering feelings or hopes of reconciliation, you’ll be less emotionally available for new love. A new partner may feel threatened by your friendship with your ex. If your former girlfriend or boyfriend meets someone new, will you be genuinely happy for them, or will there be residual jealousy or pain? Will you feel the need to hide a new romance from your ex, in case they’re hurt by it? 5. Has the dust settled? It’s hard to move straight from relationship to friendship, as feelings and habits don’t disappear overnight, and can muddy the waters of a friendship. Spending time together may continue to stir up pain and delay healing. 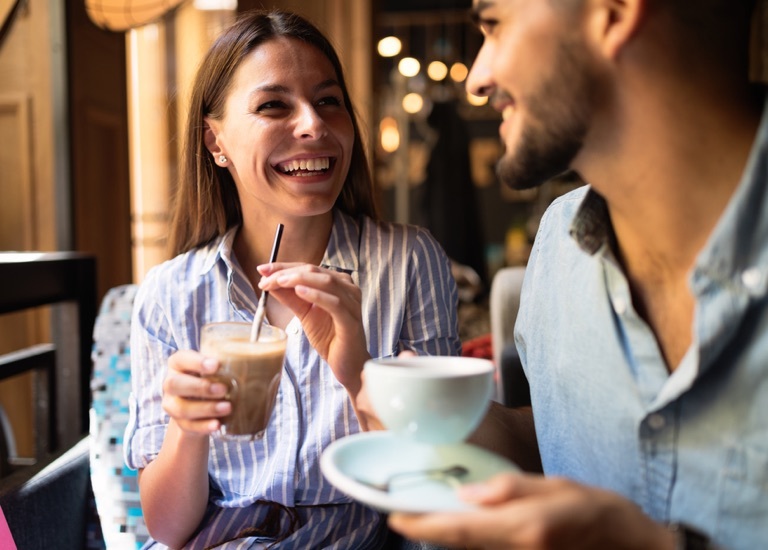 Many people find that going no-contact for a period of time (say, a few months) allows romantic feelings to fade, and lets you rediscover who you are as an individual rather than as half of a couple. So you may want to discuss a period of no-contact, including unfriending or muting each other on social media. After that, it may be easier to start afresh, without your friendship being tainted by the pain of your break-up. What’s your experience of staying friends after splitting up? We’d love to hear your stories and tips!